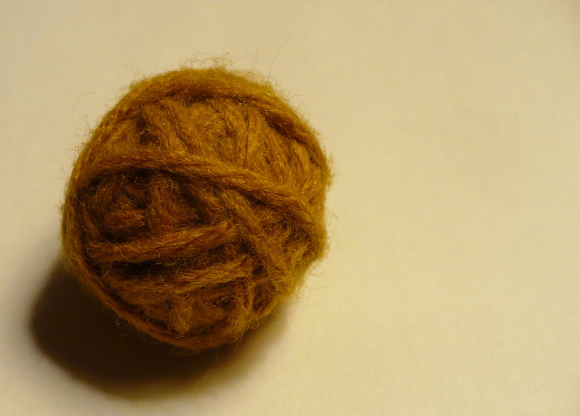 Wrap yarn around the ball until it is completely covered. Use a dab of glue to secure the end. 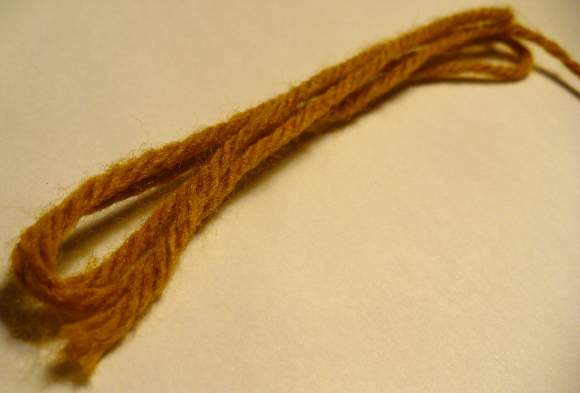 Starting at one end, wrap the yarn around the looped lengths tightly until you reach the other end. Glue the end of the yarn to secure. Repeat to make a second piece the same length. 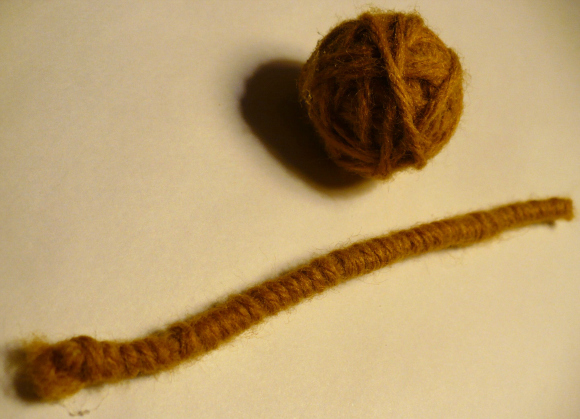 Cut several lengths of yarn and tie them securely around the yarn-wrapped ball. 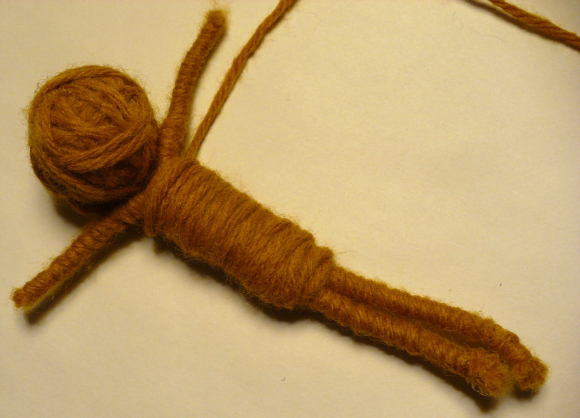 Lay out the pieces as shown, with the long pieces bent to create the arms and legs and the ends of the yarn wrapped around the head going through what wikll become the torso. 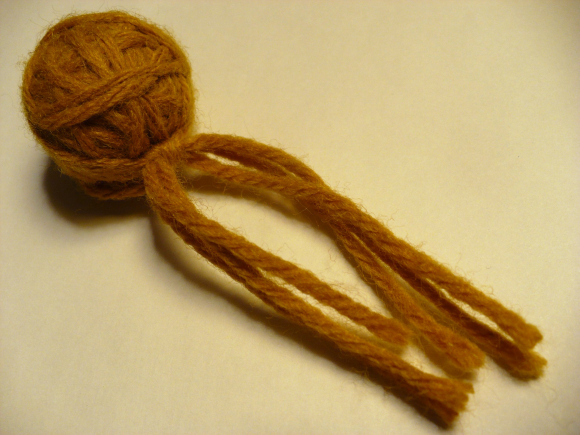 Tie around the armpit area tightly with a long piece of yarn. Create the torso by wrapping down toward the feet, then wrap back up to where you started to make a double layer of wrapping. 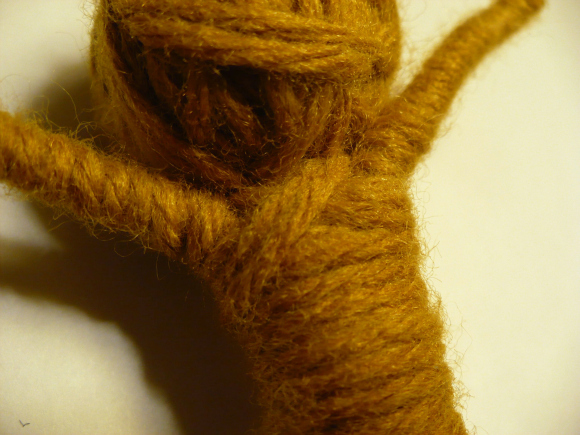 Make the last couple of wraps in an “X” shape, passing the yarn between the arm and head. Glue the end of the yarn in place on the back of the doll to secure. To make eyes, find a pair of smal buttons that each have 4 holes. Use black thread or embroidery floss to make an X on each button. Glue the buttons to the doll’s head. a friend with a particularly cruel boss at work. anyone going through a nasty divorce. people who have a morbidly offbeat sense of humor. 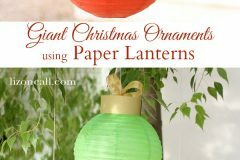 place it in a box with a package of straight pins and a lighter to make a complete kit. glue a pin to the back side of its torso to make a wacky brooch. 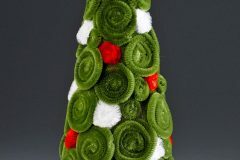 attach a string to the top of its head to turn it into an ornament. 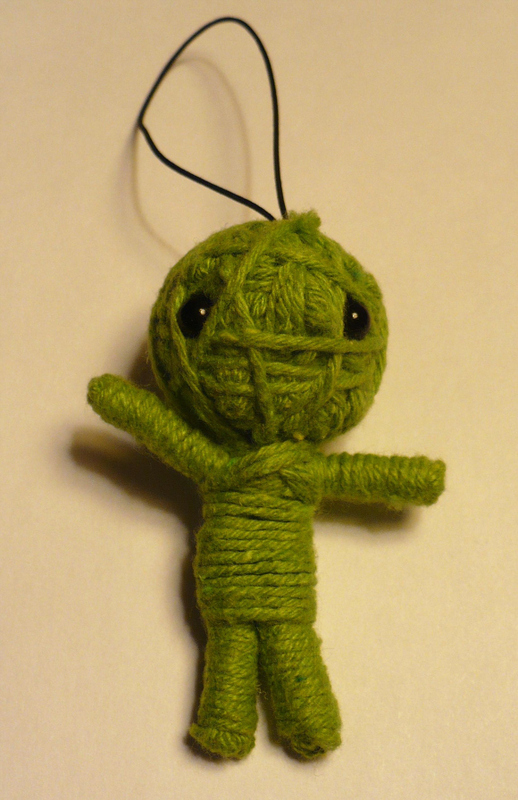 What else could you do with a voodoo doll? How strange that this was posted. A friend of mine was given one of these little guys on her birthday and I’ve been trying to hunt them down to get one of my own ever since. I’m going crazy trying to find one that’s just plain white. 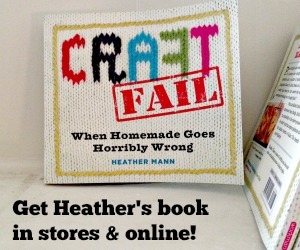 Maybe I’ll just try making my own! He he he, LOVE this! Fun project with the kids. I may “re-brand” them as mummies and make them with my kids next halloween! I’ll be making some with bunny ears and tail. I like the old SNL sketch about voodoo acupuncture – someone sticks a pin in the right spot on a doll of you, and your arthritis clears up! ooh, your doll is cute and cool, and even a little spooky! How cool are these!!??? My daughter has been collecting the gum-ball machine ones for years, and here, they’re $2 a pop! 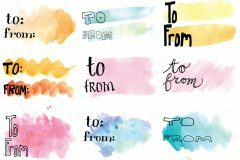 I’d been searching for a tutorial just like this one to make her some special ones, and to try making them with all her little friends at her next Bday party. You rock! Thanks for posting the tute! Instead of using a small foam ball, you can also use aluminum foil crumpled into a tiny ball, then smoothed out. As I have no patience to go out and by my own supplies, I use what I need. This is a very simple project, but if I take my time, this takes about an hour. But sooo worth it! They’re so cute! I’ll be making a ton of these before the year ends. If I give mine money, and it’s me… Will I get more, and more and more? I absolutely love these little dolls. I also have some out of the gum ball machine. I punched in quarters until I got every color in the machine. Thanks for showing how to make them. 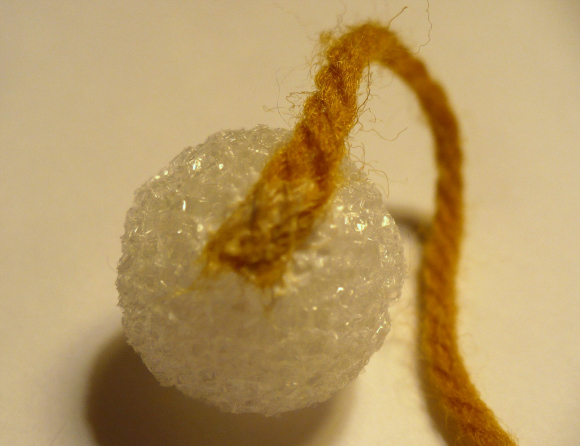 I never thought of using foam balls… Normally I’d keep wrapping yarn until I got the right shapeXD Lately I’ve been using beads on scrapped notebook wire so the shape of the head and shoulders and what not would be more pronounced. The wire really helps when I make animals with ears and horns and also it enables the dolls to pose. So far I’ve made Jack the Pumpkin King, a rag doll girl, a dog head, some cat thing, a person, and a unicorn head for my friend. 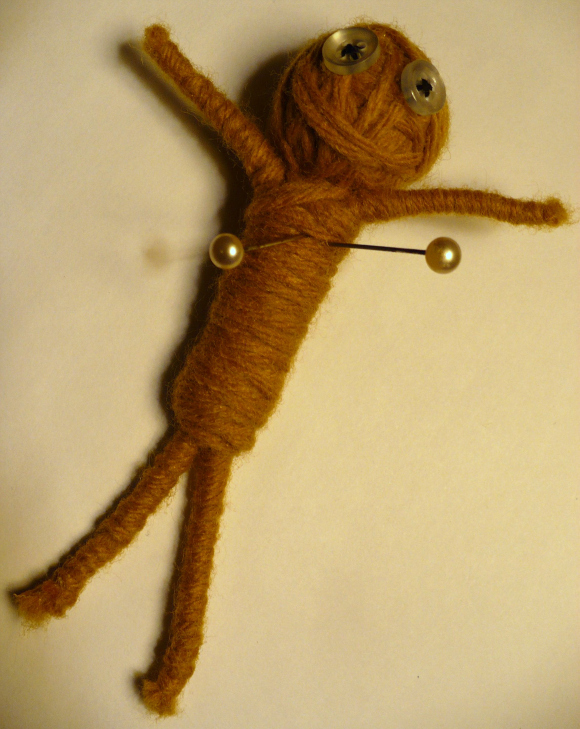 I like your doll too =) I never tried poking pins. Is it fun? Oh yea I also got into making dolls because of those cute brainwashing gumball machine dolls. 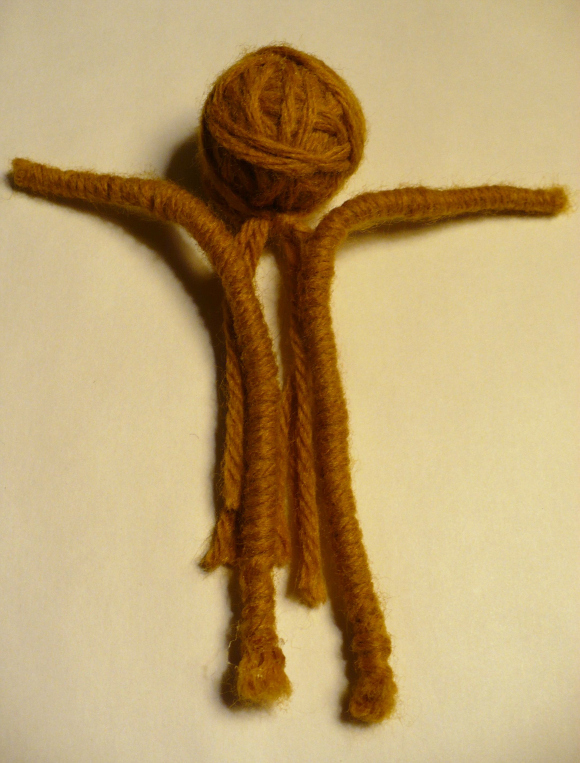 I never post, but I had to tell you: last week I saw voodoo dolls in a craft store and thought to myself, “hey, I can make these!” so I googled and found your post. I’ve make 15 so far for friends and family and everyone loves them. Instead of buttons, I use pins for eyes. 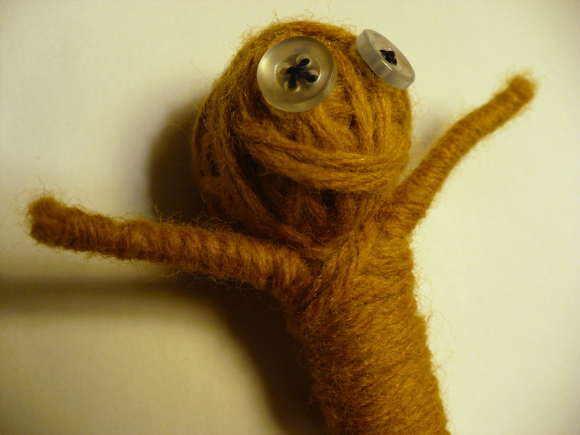 I use a darning needle to tie off the yarn ends on the head and body. When wrapping the legs, I wrapped back a third of the way and tied off. So, no glue. I embellished each with a necklace, a key, a bird or other trinket. Thanks for so much fun! Hey everyone! Your doll are actually really close, they ones i tried first were missing limbs! for everyone that wants to know how to make the ones like you get out of the vending machines look up ShadedinStarelight on YouTube. 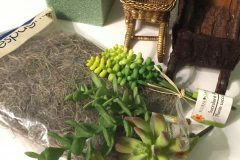 She has a whole video on how to make them yourself! I’ve already made three 9 inch dolls using her video.